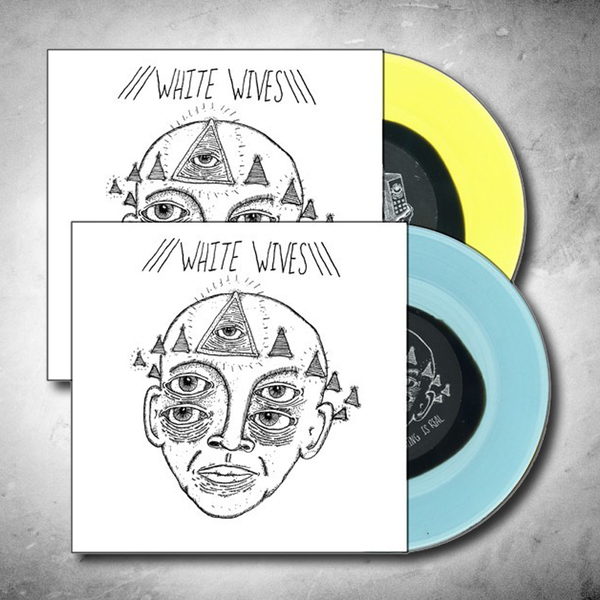 This two song 7-inch is the first new material that the Pittsburgh based alternative rock band has offered in over a year. On this release, White Wives maintain their signature landscape of sound approach to song writing while, at the same time, experiment with different percussive and tonal elements. They’ve pushed their own lyrical boundaries, telling two very personal and honest stories with these two tracks, and marking a new musical chapter for the group. ***The covers of these records were hand screen printed on a porch on a fall day in Pittsburgh, and thus are all unique in detail. The 7-inch was pressed on color-in-color vinyl and is limited to 250 blue and 250 yellow records. Both colors come with hand screen printed covers.